Like and love are perhaps two words that have been most interchangeably used. It is not surprising to see couples saying that they like each other one minute, and then love the next. The interchanging of these two words has been so frequent, that quite often many people will equate like and love to be one and the same. However, in reality, like and love are two very different words. Here are the differences between like and love. One of the differences between like and love is the scope of their meanings. While both like and love do pertain to positive feelings and perceptions towards people, places or even objects, the meaning of like is quite broad, and can be generic in its expression. Quite often, like is a term that is used when comparing two distinct, but similar objects or people. On the other hand, love is quite narrow, and often involves a deep sense of affection towards a particular person, place or object. This being the case, a person who loves another person, place or object, does not often find himself or herself comparing between similar individuals or objects, but rather between more distinct individuals or objects. Another difference is the investment given by a particular individual. When a person likes something or someone, this is often based on what is immediately seen. As such, the basis of liking something or someone can be rather superficial, and can be felt within a short period of time. On the other hand, a person who loves a person, place or object has invested quite a lot of time with the subject. In effect, love is developed over a longer period of time. In the case between two people, love often develops after spending considerable amount of time with a particular individual. Finally, there is the level of intimacy. As a person can like another person quite quickly, the relationship can be also considered as new and shallow. That being the case, a person who likes someone can easily change his or her mind within a short period of time, without any regret or ill feelings. On the other hand, because there is more investment given when a person loves someone, the relationship between two individuals can be quite deep. As a result, people who are in this kind of relationship do not just simply change partners. In the event that the relationship ends, the parting can be quite painful, and may take quite a long time for one or both persons to stop feeling love towards the other person. 1. 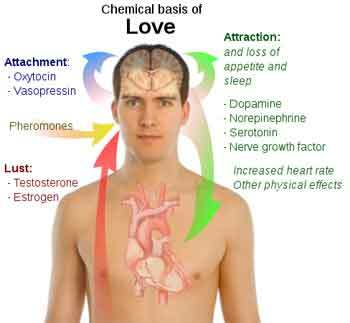 Like and love are emotions that are commonly felt by a person towards another person. 2. Like is mostly based on what is immediately seen, causing the reason for liking another person to be rather superficial. Love, on the other hand, develops over a longer period of time spent between two people. 3. A person who merely likes a person can easily change his or her mind without much ill feeling. On the other hand, a person who loves another person will often have a long term relationship with that person, and may experience hurt and pain should the relationship end. Manisha Kumar. "Difference Between Like and Love." DifferenceBetween.net. February 5, 2010 < http://www.differencebetween.net/miscellaneous/difference-between-like-and-love/ >.